Special Feature: Stop Wasting Paper...Docusign! If you want to sell a home faster any good agent will insist on staging, either by the owner or a professional company. Good staging will involve making a home a place in which the buyer sees themselves living, not the seller. A well-staged home will show the home's potential for even awkward spaces and, if the seller does it themselves, for not a lot of money. A good agent will insist on some element of staging, but it's not a guarantee of a sale. When things don't go smoothly or as quickly as the buyer/seller might like things can get ugly and even the most diligent agent can still make mistakes. 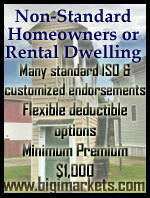 Travelers has been offering real estate agent E&O coverage since 1956. Real Estate Agent / Property Manager E&O is flexible enough to cover a wide variety of clients in an ever-changing environment. On top of the great coverage, service, and experience you expect from Travelers, now they are offering 2 year policies and $0 deductible options. Check out these flyers and checklists to help you sell coverage to your clients. The Real Estate Agent / Property Manager E&O program is available through Big "I" Markets in all states except CA, HI, and LA. DocuSign is the industry leader in eSignature and digital transaction management. Today, 12 of the top 15 U.S. Insurance Companies use DocuSign, as well as more than 450 IIABA members across 44 states. More than half of the documents sent through DocuSign are signed and completed in under an hour, and DocuSign provides an enormous ROI in a number of ways, include the following: reduced shipping costs, better customer acquisition and retention, hours of employee time (and hourly wages) saved through administrative mailing tasks, and quicker sales cycles. Learn more about how to reduce your paper flow by reading this DocuSign blog post: Is paper the root of all evil? No. But it sure costs businesses a wicked amount. Sign up and get your exclusive Big "I" discount at www.docusign.com/IIABA. Travelers Office PacSM and Office Pac PlusSM are designed for a variety of firms providing medical, legal, financial or other professional services. With more than 40 classes available in this segment and a variety of product features, we can help meet the needs of your office clients. 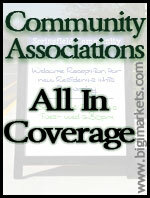 Office Pac is available to Big "I" Markets member agents in all states except AK, FL, HI, LA, RI & TX. During an emergency, it's imperative that those within your organization know how to communicate effectively. This need to communicate has led to increasing use of social media platforms during recent disasters across the globe. Join Agility Recovery as we dive into the steps and best practices for developing your organization's strategy for crisis communications utilizing social media. Join Agility for a free "Social Media and Disaster Recovery" webinar on Wednesday, June 10th, 2015 from 2:00 PM to 2:30 PM EDT. Discussion will focus on best practices and simple steps any organization can take to build their presence in these channels, and ways to bolster your crisis communications plan by integrating social media as a central element. ACT presents "The Customer Experience Journey"
On Monday, June 22nd Claudia McClain and Judy DeLaRosa, the co-chairs for Agents Council for Technology ('ACT') 'Customer Experience' Work Group will present a webinar to walk through ACT's "CX Recommendations" document and discuss the top implementations within each phase that can help agents plan and elevate their technology strategy and explain the critical role Customer Experience plays in every consumer and client interaction. Don't miss a chance to review and refine your customer service experience journey and learn more about resources for your agency. Other upcoming VU webinars include the free webinar on the Biggest Homeowners Insurance Change in 40 Years Explained, Data Breach, The New Wild West? 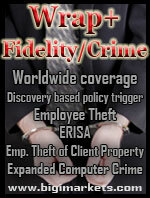 Cyber Risk Exposures and Insurance and Beyond the Basics: Emerging Issues Personal Lines Issues. VU webinar questions can be sent to bestpractices@iiaba.net. 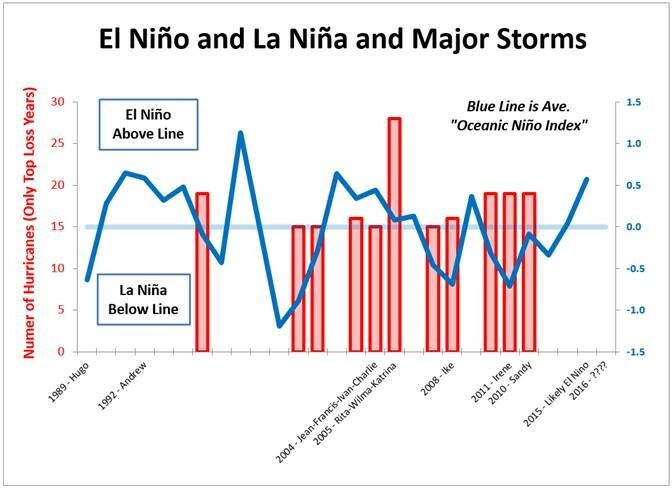 2015: El Niño Predicted…So What? Predictions for 2015 are for an El Niño year. That is, for the United States, El Niño conditions are when warm waters accumulate on the western shores of the Americas. "So what" you say? For me looking at the data, I've always ended up feeling (however, unscientific) that AFTER El Niño, there can be big hurricane years in U.S. Below is an updated Two For Tuesday graph from last year with the big hurricane years highlighted with red columns and Hurricane names of infamy shown on horizontal axis. You decide. Oh, I didn't have time to extend graph to it but 1986 and 1987 were El Niño years which were prior to Hugo. Congrats to our agent in Tennessee on a habitational condominium sale of $27,975 in premium!